Have you ever read a book with so many layers, that once you finished it, you had a hard to telling someone what is was about? 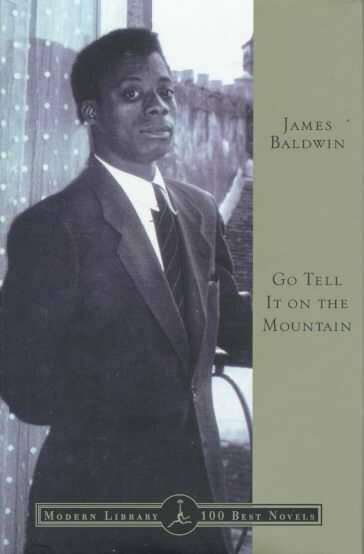 I’ve just finished James Baldwin’s 1953 novel Go Tell It on the Mountain, as part of my 100 books challenge, and I am feeling a bit like that now. Go Tell It on the Mountain tells the story of an African-American family living in Harlem in the 1930s. The story begins and ends of the Sabbath Day, and the family’s Christian faith plays a central role in the story. Though told entirely in the third person, the story switches from the point of view of teenage John in the first and last chapters, to his aunt, father and mother in the middle chapters. The story shows both the good and the ugly sides of the role of Christianity in this family’s life. The patriarch, Gabriel, is a Pentecostal preacher with a holier-than-though attitude, yet he beats his wife and children and is a major hypocrite. John is consumed by a “wages of sin is death” attitude and is overcome by guilt, yet he seems to find solace in the church. Florence and Elizabeth don’t really figure prominently into the book until they have their own chapters, yet once you read their stories you will be overcome by emotion. Baldwin’s classic novel is not a happy one. There’s physical violence, death, poverty and racism to deal with throughout. Yet at the heart of this story is the humanness in all of us, no matter if one is a self-proclaimed “Man of God,” a pregnant unwed woman, or a trouble-making youth. She hoped that one day God, with tortures inconceivable, would grind them utterly into humility, and make them know that black boys and black girls, whom they treated with such condescension, such disdain, and such good humor, had hearts like human beings too, more human hearts than theirs.